We’ve all heard stories about someone in perfect health that suddenly has a massive heart attack. Is this how it really happens? Do they have signals that warn them? 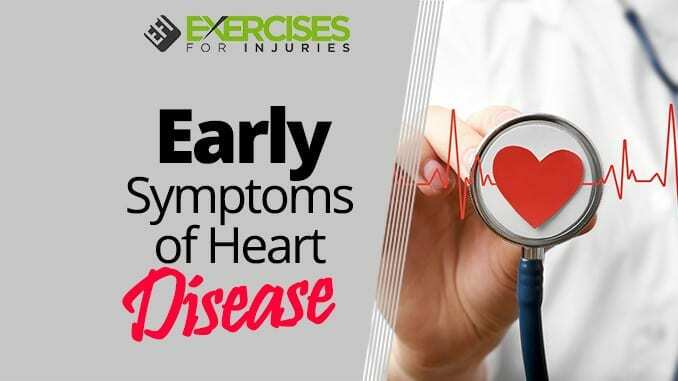 Let’s take a look at some of the earliest symptoms of heart disease. We’ll also learn how to keep your heart strong and healthy. Your heart is communicating all the time. In fact, besides your brain, your heart has more nerve tissue surrounding it than any other organ in your body. This means that if your heart has problems, distress signals are probably being sent out. Still, sometimes the signs might be very subtle or indirect. Even at an early age, the coronary arteries that supply your heart with blood can begin to have problems. Autopsy studies on Vietnam War and Korean War casualties showed that soldiers as young as 18 years old already had signs of atherosclerosis in their coronary arteries. This means the process starts early. Could symptoms show up early too? In some cases, you might not feel anything at all. In fact, you could be in very good physical shape and still be sitting on a time bomb. In these cases, plaque builds up on the side of your coronary arteries, but there is no restriction of blood flow. If this plaque breaks off though, it could clog your artery 100 percent in an instant. This may lead to sudden death. The most important artery is the left anterior descending (LAD), which supplies the left ventricle which pumps blood to your brain and body. If this artery gets blocked suddenly, your life is at high risk. This is why LAD blockage is sometimes called the widowmaker. The best way to prevent this kind of disaster is to control the risk factors for heart disease. We’ll look at this later. The classic symptom of heart disease is chest pain. Still, up to 30 to 40 percent of people with heart disease don’t have any chest pain. In women especially, heart disease may show up with no chest discomfort at all. If you have heart disease without chest pain, it could be more dangerous than if you do have chest symptoms. 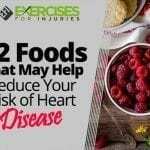 A study published in the Journal of the American Medical Association showed that people who had heart disease without chest pain had a higher mortality rate. One of the reasons for this might be that doctors don’t think about checking the heart in these cases. If the diagnosis is delayed, proper treatment doesn’t get started quickly. In the study, younger women — age 45 and younger — were especially less likely to have chest pain with heart disease. This throws doctors off even more since younger women usually do not have heart problems. The protective effect of estrogen is believed to keep a young woman’s heart free of blockages. Once a woman passes through menopause, her estrogen levels drop, and there is a rise in heart disease risk. So, when a younger woman shows up in the emergency room without chest pain, doctors typically look for something other than heart problems. 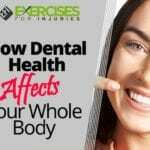 This is even more dangerous since women who develop heart disease at a younger age might be affected by a more aggressive form of disease. You might think of it as a powerful attacker that not only breaks through the estrogen protection but also disguises itself by not causing chest pain. This leads to an overall higher mortality rate in women age 45 and younger with heart disease. In some people, trouble sleeping might be the earliest sign of heart disease. You might just be restless, or you might find it hard to breathe when you sleep. One of the most deceiving symptoms of all might be back pain. It could be between the shoulder blades or slightly higher or lower. Back pain, especially in relatively young patients, is frequently blamed on muscle strain. If you have no other symptoms at all, it might take a long time before heart problems are detected. Suddenly feeling very weak or lightheaded could also be a sign of heart problems. This is especially true if you notice the change suddenly. For example, you get very tired from climbing a set of stairs that never gave you a problem before. Another symptom associated with this might be shortness of breath. In some instances, heart disease might show up as an upset stomach or indigestion. Nausea could be a warning sign too. If you notice any other signs, such as abnormal sweating, it’s probably best to get checked by a doctor right away. High blood pressure (hypertension): Usually, you don’t feel anything if you have high blood pressure unless it is very high. 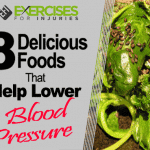 Many people go for years with hypertension and are completely unaware of the problem. High cholesterol: This can only be confirmed by a blood test. 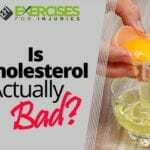 Even individuals who eat well and exercise can have high cholesterol due to hereditary factors. Diabetes: In some cases, diabetes will cause symptoms but not always. The best way to get checked is with a blood sugar test. Diabetes is a major risk factor for heart disease. Don’t think that you have to wait until you are middle-aged to get these checked. As the soldier autopsy study showed, even young people can begin to develop heart disease. In general, heart problems develop over many years. So, early detection of risk factors is critical. You might just think they are leg cramps, but it could be something deadly. Just like the heart, if circulation problems affect your legs, it may cause pain. The classic example is pain or cramping in the calf muscles when you walk. 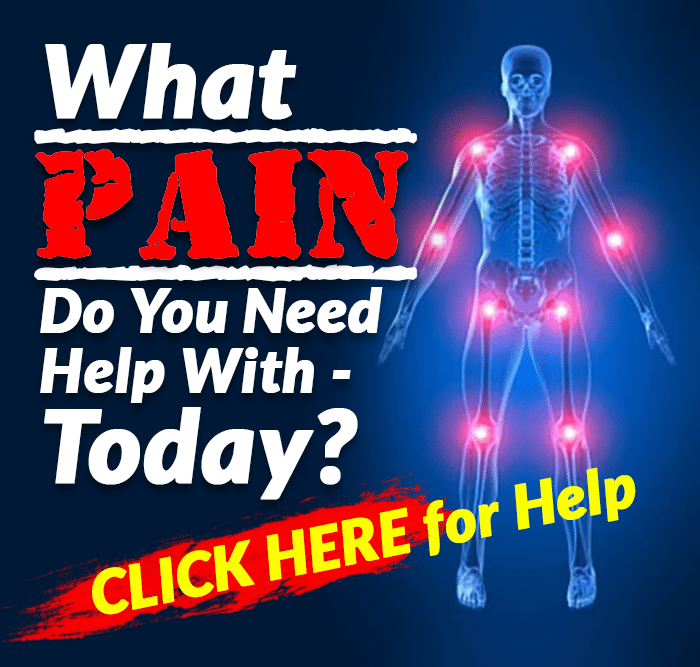 Now, you might be wondering, “What does this have to do with my heart?” Well, if you have circulation problems in your legs, you could also have blockages in your heart. One of the biggest protective factors against heart disease is regular exercise. A simple brisk walk for 15 to 30 minutes per day can make a significant difference. Even for people who have had heart attacks, it’s important to get regular physical activity. If you’ve been inactive or had a recent heart problem, you should consult with your doctor about how to set up a new exercise routine. Hypertrophic cardiomyopathy (HCM): The walls of the heart muscle are abnormally thick in this hereditary condition. Thick heart muscle may not transmit electrical impulses normally. If a very irregular and rapid heartbeat occurs (arrhythmia), it could lead to sudden death. This is the most common identifiable cause of sudden death in young athletes. Coronary artery abnormalities: Some people are born with abnormal coronary arteries. These don’t get clogged up on the inside, but with strenuous exercise, these arteries might get pinched and cause arrhythmias. Long QT syndrome: This inherited disorder leads to irregular electric signals in the heart. This can cause arrhythmias and an increased risk of sudden death. Unfortunately, most cases of sudden cardiac death in young persons occur without warning. Still, if someone faints easily, this could be a warning sign. Also, if anybody in the family died suddenly at a young age, this is a good reason to consult with a doctor. Even though it should go without saying, smoking is terrible for your heart. So if you smoke, quit today. Doctors can help, and there are even medications that might make it easier to quit smoking. Also, obesity increases your heart disease risk. Weight control helps reduce this risk. So, there you have it. Listen to your heart. Take care of it, and your heart will take care of you.